Continuing with our early season countdown, it’s time to look at the next batch of players on our LA Kings Top 10 Prospects list. As a quick reminder, these bi-annual rankings provide some of the most popular content we produce each year, in large part due to the amount of effort that goes into gathering and preparing the evaluations. We’re confident nobody outside of those employed by the team spends more time talking to coaches, scouts, and general managers about the organization’s top prospects on a regular basis than MayorsManor. Our final slotting of players is also influenced by hundreds of hours of game action and debating the prospects with a myriad of well-respected hockey people, including our key sources inside the team. Already served up were five honorable mentions, along with guys slotted in at No. 9 and 10 on the rankings. Now, we’ll offer some insight into the players who secured the next three spots – who, coincidentally, all have a very strong bond. Gravel and his former college roommate (who we’ll get to in a moment) are two of the most underrated prospects in the Kings organization. It will be highly interesting to see how things play out this season, as Gravel begins with a leg up here over Paul LaDue (ranked No. 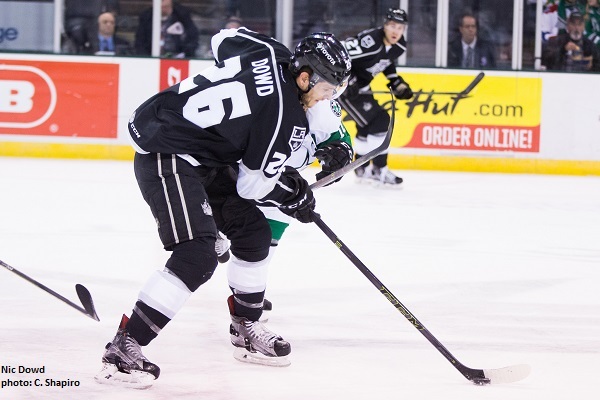 9) and a pair of honorable mentions (Alex Lituniemi and Erik Cernak) largely due to his one year of AHL experience. Sure, those three could ultimately have more upside potential, yet you simply can’t deny what Gravel has been able to accomplish since being selected at the 2010 NHL Draft held in Los Angeles. At one point, Gravel had significantly closed the gap between himself and Derek Forbort; an accomplishment in itself, considering the latter was a first round pick. Even though Gravel went four rounds later, it wasn’t long before people began taking notice for more than just his size, especially when he made Team USA for the World Junior Championships and was arguably the team’s best defenseman. In retrospect, Gravel probably should have turned pro after his junior season at St. Cloud State University. At the same time, you can’t fault a kid for wanting to get his school back to the NCAA Frozen Four, and the experience he gained as one of the team co-captains was a credit to his leadership capabilities. Still, it was a disappointing year for his development and he found himself having to settle for an AHL only deal, with the opportunity to earn an NHL Entry Level Contract if he was able to rise to the challenge put forth by Kings management. The lanky defender did just that, having a tremendous 2014-15 campaign and signing a contract shortly after winning the Calder Cup. Like Forbort, Gravel is great at using his reach to his advantage. While, like Forbort, his offensive potential is limited, Gravel actually played forward when coach Mike Stothers needed him last season, scoring a goal-scorers goal in the process. His rookie campaign was a positive step forward. Now, Gravel must continue to climb the ladder and show he was worthy of his contract. 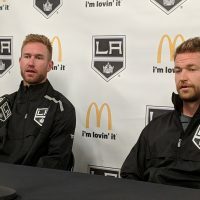 For a more in-depth look at Gravel’s potential (including key comments from Mark Yannetti, LA’s Director of Amateur Scouting) be sure to check out my feature story for LAKings.com. If Jordan Weal’s playoff performance was enough to cement a spot on this list (oops, spoiler alert), so was Dowd’s. There were two things the former St. Cloud Husky unequivocally proved. First, he is a clutch player, as most of his goals came in absolutely critical moments, including a game-winner in overtime in the Calder Cup Final. Dowd’s propensity to score in high-pressure moments is something rarely seen, as he has done it both in college and professionally, and he has done it time and time again. The other thing he pushed front and center was the fact he is the epitome of a heart-and-soul player who will do anything to win. It also didn’t hurt that he did this as Kings coach Darryl Sutter was present for the clinching game of said Calder Cup Final, where Dowd sacrificed his body to make a trio of key shot blocks. The Alabama-born boy is likely to see his dreams of becoming an NHL player come true one day, especially as he continues to improve in every facet of the game. Underrated is the word you hear over and over again when talking to hockey people about Dowd. 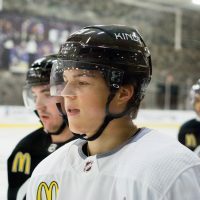 He followed up last season’s impressive playoff run with an impressive training camp, where several in Kings management noted how smooth and comfortable he looked skating alongside NHL players. Two current L.A. roster players who share similar traits to Dowd are Nick Shore and Trevor Lewis. Dowd is very good away from the puck and it has been noted to us on more than one occasion that the game Lewis plays would be a good road map for Dowd as he prepares for a potential NHL career. Additionally, the main difference between Dowd and Shore would be in the strength department, where the former still has some work to do. If Dowd could ever become as strong as the former Denver University product, he could easily end up being a similar player. 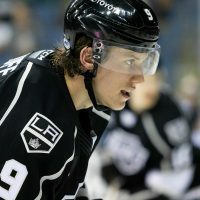 As noted in previous articles, several NHL teams contacted the Kings about Dowd’s availability even before he was named one of three finalists for the 2014 Hobey Baker Award (college hockey’s top individual prize). His stock has only risen since. Known as one of the best defensive forwards on the Reign, and as a player with a tremendous hockey IQ, this season will be critical in his development since he is no longer waiver eligible. 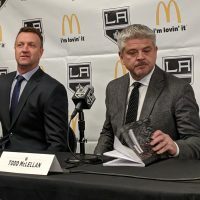 Nelson Emerson, a key member of the Kings Player Development group, had some very interesting comments about Dowd in a feature story I did on him for LAKings.com last season, linked here. Given all the love Kings fans have thrown at Tyler Toffoli in recent years, they should start preparing similar adoration for Brodzinski, who is probably the closest skill-wise among all the organization’s prospects. Nobody in the L.A. pipeline possesses a better shot than the St. Cloud State alum. A pure sniper, Brodzinski has consistently found a way to fill the net at the collegiate level. After completing his junior campaign, he opted to forego his senior year and signed with the team that drafted him. Had he not been held out with an ankle injury last spring, Brodzinski likely would have drawn into the lineup for the Manchester Monarchs as they fought to win their first Calder Cup. Since being selected by the Kings at the 2013 NHL Draft, Brodzinski has added size and worked on some deficiencies in his game. 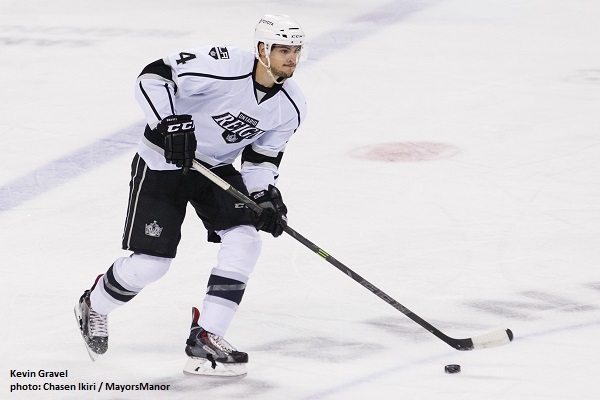 My feature piece for LAKings.com delved into some of his background (linked here). Further, the 22-year-old forward is definitely somebody to keep an eye on this season, as he has set himself up incredibly well to have a breakout rookie year in the AHL. While there is still some work to be done defensively, coach Mike Stothers has already noticed his coachability and work-ethic. Upper management has also attempted to have Brodzinski learn from the frustrations Michael Mersch experienced early last season. In college, players can often get to the right areas without having to fight through 10 guys. You can establish position in college a whole lot easier than you can in the pros. The question is, how long will it take him to adjust to that learning curve? He’ll learn it and he’ll get it; yet, how long will it take? Will it click in 10 games or does it take 30 games like it did with Mersch? Those first few months of last season were a little frustrating for Mersch and they’re hoping Brodzinski doesn’t experience the same frustrations. In the next article, we’ll begin revealing the coveted top five prospects, including two players who have significantly improved their stock. 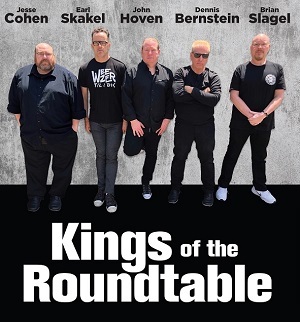 As always, we would also like to pass along many thanks to the plethora of hockey sources who contribute to this series – especially Andy Tonge, our longtime correspondent. His ongoing input regarding players at the AHL level is invaluable. Do yourself a favor and give him a follow on Twitter right now. Then spend a few minutes looking back at some of our other top prospect articles linked below for your convenience. All three are very good prospects, with Dowd’s age working against him a bit. Dowd is a very talented passer (better than Shore at making players around him better), and better in the face off circle and on D than Weal. I would really like to see Dowd get a shot on the Kings third line with Brown and King (when he returns) to see if some more balanced scoring could be accomplished. Pipe dream probably, the way the Kings coaching staff run the show. I like Shore better on the 4th line, with Mersch and Lewis as wingers against non fighting, physical teams. 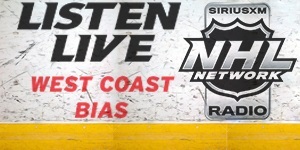 The Clifford, Andreoff, and Nolan show have become weary in the new NHL. Gravel is better offensively than Forbort, but not as polished on D. I can see him in the NHL. Brodzinski has played well learning the pro game, and recently has been paired with better offensive players, so he should get his first pro goal soon. I have seen him hit the pipe no less than six times in the Reign home games. He is trying to be a little too fine. Hopefully the floodgates will open and he will consistently get better offensive mates to play with. 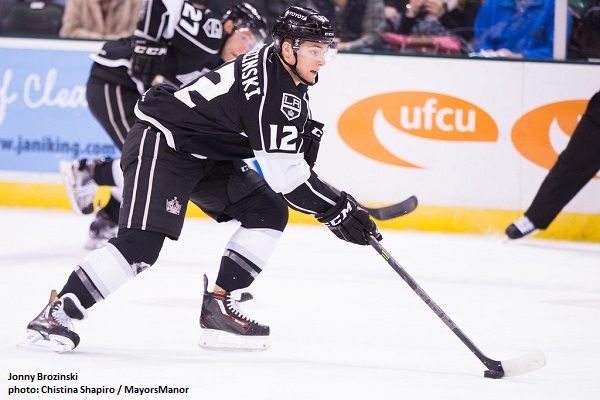 The Reign are desperate for more offense.